See big names and up-and-coming talent at London's music festivals. Music festival-goers are spoilt for choice in London, as the capital hosts exciting and eclectic music festivals all year round. Take your pick of London's wide-ranging festivals below, featuring everything from electronic to jazz music. Come summer, London is awash with music festivals with stages popping up all over the city. Held over two weekends in summer, Barclaycard presents British Summer Time brings a stellar line-up of international artists to Hyde Park. Past headliners have included the Rolling Stones, Black Sabbath and Blur. In the week between performances, come and enjoy open-air film screenings, street food, daytime DJs, pop-up bars and entertainment. Head to west London's leafy Gunnersbury Park for a two-day celebration of dance, hip hop and pop music. Lovebox festival was founded by British electronic music duo Groove Armada in 2002, and has since seen music stars such as Duran Duran, Goldfrapp, Ed Sheeran and Snoop Dogg walking its many open-air and tented stages. Join revellers at Wireless Festival in north London's Finsbury Park for three days of big music hits from a unique mix of hot newcomers and urban music legends. Past editions have seen celebrity headliners such as Depeche Mode, Jay Z, The Black Eyed Peas, Justin Timberlake and Rihanna. Celebrate the city's incredible grassroots music scene as Sounds Like London takes over the capital in June. Get set for a month packed with a line-up of unique events highlighting emerging artists, cool music venues, women in the music industry and London's fascinating musical heritage. Previously held in Victoria Park, London's Citadel Festival is now entertaining crowds in Gunnersbury Park, where you can expect to see indie stars following in the footsteps of Bombay Bicycle Club, Ben Howard and Sigur Rós. This unique one-day festival also hosts talks by an eclectic array of speakers during the day, as well as soothing yoga sessions. Head to Southbank Centre and enjoy a 10-day celebration of arts and music overlooking the Thames. Meltdown Festival is curated every year by top music artists. Past festival curators have included M.I.A, Patti Smith, Yoko Ono, David Bowie and David Byrne. Getting up out of your seat for a boogie is definitely encouraged. Join London's cool kids for the popular Field Day music festival in Brockwell Park. Listen to a mix of independent and mainstream artists as they perform across various stages, including the spectacular The Barn stage. Village Mentality's twist on a traditional village fete also features fun entertainment and games such as a tug-of-war, three-legged races, and an eating contest. Catch the best of the world's electronic music scene at South West Four on Clapham Common. For one summer weekend, some of the world's top DJs perform across five stages. Past festivals have boasted big names such as Alesso, Deadmau5 and Fatboy Slim. Grab tickets for one of the biggest newcomers to London's music festival calendar: All Points East. Held in Victoria Park, this 10-day event begins with a three-day music festival featuring megastars and emerging artists. Then, enjoy a midweek programme of comedy, food and outdoor cinema showings, before the next wave of headliners perform on the final three nights. Join thousands on Streatham Common this summer for London's biggest old-school hits and top anthems multi-stage festival, KISSTORY on the Common. Featuring DJs from KISS FM and special guests this one-day event is guaranteed to satisfy your need for live garage, R&B, hip hop, dance, house and drum'n'bass music. Enter the haven of Kew Gardens as Kew the Music festival brings international indie, pop and even flamenco music artists to the open-air stage over five summer evenings. Bring your own picnic and blanket and soak up the atmosphere. Enjoy international musical legends playing against the backdrop of the magnificent Old Royal Naval College, overlooking the river Thames, at the Greenwich Music Time festival. Past performers at this family-friendly event have included Seal, David Gray and Little Mix. The splendid Edmond J. Safra Fountain Court at Somerset House plays host every year to an exciting line-up of emerging and established musical artists right in the centre of the city during Summer Series. Past years have seen Amy Winehouse, Adele, Sam Smith and Everything Everything step on the iconic festival's stage. Head to Croydon’s Lloyd Park for two days of garage, house and urban music at the very first The Butterfly Effect Festival. Artists performing at the 2018 event include Cooly G, DJ Luck, Shola Ama and Kele Le Roc, plus a host of up-and-coming music talent. You can easily get to Croydon in south London by tram, train or bus. Find fresh sounds from global artists during the Global 12 Festival at Cargo London. Housed on the nightclub's open-air dance floor, this one-day festival showcases emerging artists from the worlds of house, hip hop, R&B and Afrobeats. In between sets, refuel with summer cocktails and BBQ bites. Experience Kaleidoscope, a new music and arts festival, featuring top bands and musicians, comedy, spoken word, theatre and more. Enjoy a unique festival setting in the both the beautiful surrounds of Alexandra Park, and the more-than-100-year-old Alexandra Palace. Soak up the historic atmosphere during a summer night of music at Hampton Court Palace Festival. Music stars such as Elton John, Andrea Bocelli and Van Morrison have all performed in the royal palace's stunning courtyards. Enjoy a picnic in the East Front Gardens and grab a glass of champagne before the show. Catching great music in London doesn't have to cost a thing. Take a look at some of the free music festivals happening around the city. Celebrate Waltham Forest's creative community with Walthamstow Garden Party, a free festival of music, theatre, crafts and family activities run by the Barbican and Create London. Gigs, film screenings and performances showcase the area's local talent over two fun-filled days. Enjoy great food, music and arts as the Crystal Palace Festival returns to Crystal Palace Park with an array of exciting free entertainment. This family-friendly feast showcases south London's local artists and musicians, as well as arts and crafts from all over the world. Expect open-air DJ sets, jazz performances, brass bands and more live music performances as StrEATlife returns to Alexandra Palace. Foodie treats, craft beer, cocktails and live street art demonstrations give you plenty of reasons to stay all day at this free festival in London. Enjoy free theatre, film screenings, street food and music in an al fresco setting at London Bridge City's Summer by the River festival. An eclectic music programme featuring incredible songwriters, singers and bands keep you entertained as you soak up amazing views of Tower Bridge. Love blues, jazz, classical or SKA music? There's a festival for nearly every style of music - take a look at some of London's best specialist music festivals. Boogie on down to some of the biggest names in blues, rock and soul music at Bluesfest. A three-day festival held at London's iconic The O2, Bluesfest has seen Jamie Cullum, Tom Jones, Imelda May, Van Morrison and other legends walk its renowned stage. Tap your feet along to the sounds of jazz, funk and soul at the first London Saxophone Festival. The saxophone-filled celebration takes over some of the capital's most exciting venues for a cool line-up of events, including world-class performances, family activities and fun workshops. 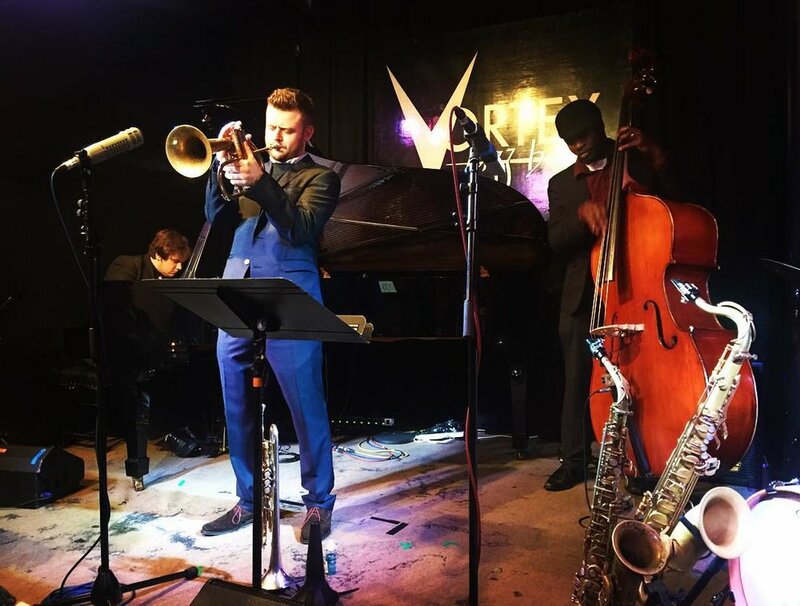 Enjoy up-and-coming artists and world-class musicians as the EFG London Jazz Festival takes over London with a host of concerts scattered around the city. International jazz stars such as Paolo Conte, Abdullah Ibrahim and Hugh Masekela have featured in the latest editions, alongside Harlem Gospel Choir. Discover emerging artists at Bushstock festival during a day of live music across various venues in Shepherd's Bush, including unusual spots such as intimate wine bars and a church. Catch the best up-and-coming talent on the international music scene, which have included big names in the past such as Bastille, Hozier and George Ezra. Be dazzled by the greatest classical music festival in the world as the BBC Proms bring amazing concerts to the Royal Albert Hall and other venues in the capital. Enjoy two months of brilliant performances at affordable prices with this British institution, and don't miss the BBC Proms in the Park's grand finale in Hyde Park. Discover the best of the capital's ska music scene with the London International SKA Festival. Taking place across several London venues, the festival boasts big names in the industry, plus fringe events including street ska orchestras, film screenings and DJ sets.